Öffentliche Gerichtsverhandlung vor dem Landgericht Schwerin am 8. Januar 2015 in einem Haftungsprozess gegen das Land Mecklenburg-Vorpommern. 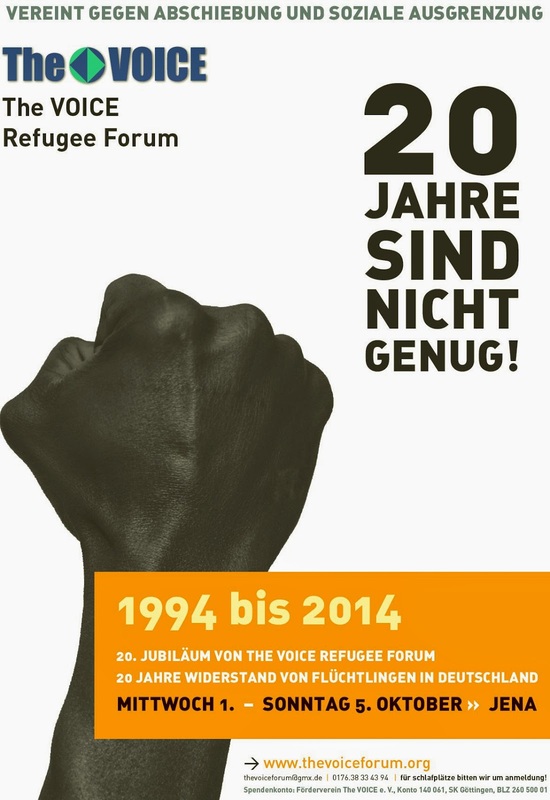 Refugee movement Sachsen Anhalt (formally called Refugee Initiative Wittenberg) remembers the hard struggle they went through from 2008 both politically, socially, and economically to close one of the most highly isolated refugee camps in Germany. It contributes to ameliorate the situation of refugees in the local government of Wittenberg and Sachsen Anhalt at large.